Home Photography Lightroom vs Darktable: Which RAW Editor You Should Use? Let’s be honest that Lightroom is a great tool to work with RAW files. It is a standard tool used by professional photographers in post-processing. But, not all photographers can afford Lightroom especially those who haven’t really earned money from photography. The problem becomes even more complicated because Adobe is no longer accept one-time purchase over its products, including Lightroom. You have to continuously spend monthly budget to use Lightroom, which is not good enough for a long term. Darktable can be a great solution if you can’t afford Lightroom or other paid RAW editors, yet want to shot in RAW. 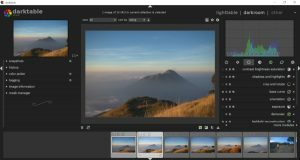 Darktable is a reliable free RAW editor that you can install on Windows, Mac and Linux. Darktable is particularly a great tool if you are new to photography and want to learn how to proceed RAW files. It is fair enough to say that Darktable is the best free alternative to Lightroom. 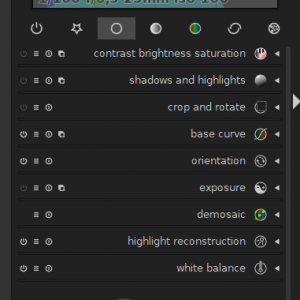 The adjustments offered by this tool are not much different to Lightroom. It also has a feature to allow you organize your images. 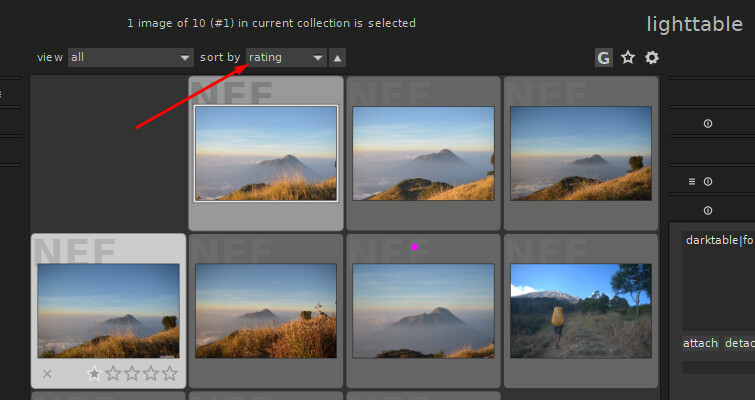 You can add parameters like tag (known as keyword in Lightroom), rating and color lable. Let’s find out which is the better between these tools. One of the differences between Lightroom and Darktable is regarding the market target. 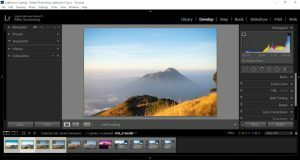 Lightroom, just like other Adobe’s products is aimed at professional photographers who use either Windows and Mac. There is no Linux version offered by Adobe to let Linux users using Lightroom, even if they don’t mind to buy it. Darktable, on the other hand, is available for all major desktop platforms, including Windows, Mac and Linux. The downside of Darktable is that it is not available for mobile devices, be it smartphone or tablet. Lightroom, on the other hand, offers mobile app for tablet and smartphone. 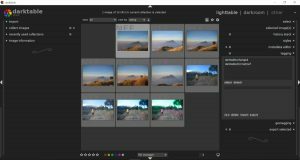 With more people are using their mobile devices to edit their photos, what Adobe did with Lightroom (by providing a mobile app) is one step ahead Darktable. Lightroom is one of the products from Adobe. As mentioned above, this product targets the professional photographers. Meanwhile, Darktable is an open source software that is released for free. Anyone can use it for free as long as they want. As I have mentioned earlier above, Adobe is no longer accept one-time purchase. Since switched to Creative Cloud in 2011 Adobe adopted the subscription business model. You can either subscribe to a monthly or yearly plan offered by Adobe. For Lightroom, Adobe offers the Photography plan, which is paired with Photoshop. If you don’t need Photoshop, there is also a plan that only offers Lightroom. 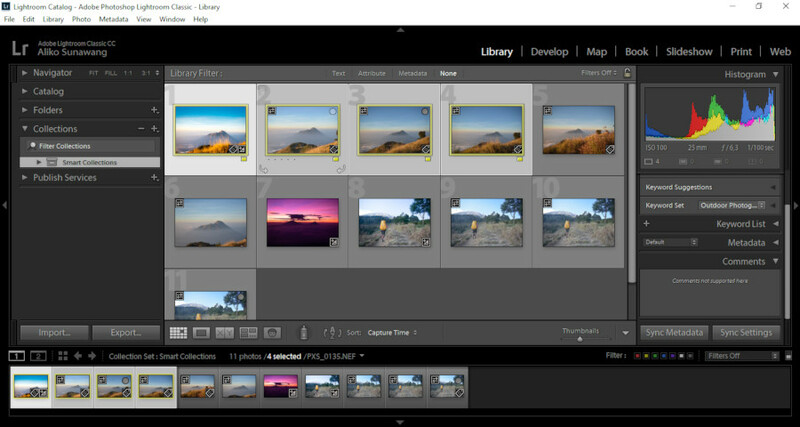 Adobe allows you to use Lightroom for free during the 7-day trial period. The fundamental difference between a proprietary software and an open source software is developer behind it. Lightroom is developed by a corporate (Adobe in this case), while Darktable is developed by a community. The project of Darktable was initiated by Johannes Hanika in 2009. Today, there are about 15 people on the developer team of Darktable. Darktable is released as a free software with no business in mind. So, the developer team give no warranty about their product. If you are experiencing a technical issue during using, there is no technical support or customer service division you can contact. You will depend on the community to solve any technical issue. Adobe, on the other hand, has a great customer service to handle customers’ complaints regarding anything, including technical issues. The key difference between photo editors like Photoshop and GIMP and RAW editors like Lightroom and Darktable is that a RAW editor typically features a catalog management feature because a RAW editor is designed to handle multiple files. Before being able to work, you will need to import the RAW files to the library. Library is where you can manage the imported RAW files as well as choosing which RAW files you want to edit. In Lightroom, you can manage the imported RAW files on the Library module. By default, the files are ordered by filename. You can change the order based on certain parameter. 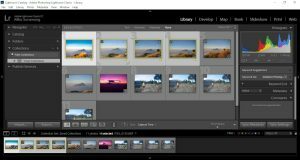 Lightroom offers lots of predefined parameters, including Camera Info which allows you to browse the RAW files based on the camera settings like ISO, aperture, focal length and shutter speed. When organizing RAW files in Lightroom, you can add attributes like flag, color label, rating and keyword. You can use these attributes to make it easy for you to find the RAW files you want to edit first and later. To add a certain attribute in Lightroom, you can right-click a RAW file you want to add the parameter to. Same as Lightroom, Darktbale also has some parameters which you can use to manage the imported RAW files. In Darktable, you can manage the imported RAW files in the lighttable mode. However, the parameters offered by Darkable are not plenty enough as Lightroom. For instance, there is no option to order the files by camera settings. The catalog management features of Darktable will only really helpful once you have added parameters to the files. Unless for rating, adding a parameter on Darktable is not as straightforward as on Lightroom because it doesn’t support right-click operation. For instance, to add a color label you need to go to the bottom of the screen. The problem that I often experience with Darktable is that I sometimes lose the imported RAW files, which force me to re-import the files. In Lightroom, you can go to the Develop module to edit a RAW file while in Darktable you can do the same thing on the darkroom module. Both Lightroom and Darktable comes with lots of adjustment features you can use to edit your photo. It is not fair enough to judge which is the better between Lightroom and Darktable in this section because every photography might need different adjustments. If you want to switch from Lightroom to Darktable, you will need some adaptations because Darkable might use different terms for the same adjustment purpose. Both Lightroom and Darktable also features a handy histrogram. You can see the camera settings (ISO, aperture, shutter speed and focal length) on this histogram. Preset is a common feature of a RAW editor. Both Lightroom and Darktable also support preset. But, the way presets work on each tool is different. Lightroom allows you to export the preset into external files while Darktable doesn’t allow the same thing. Before stepping further, there is something need to know first. Both Lightroom and Darktable will generate .xmp files when working. But, the .xmp files in Lightroom are different to the ones in Darktable. Lightroom use .xmp as the file extension for presets while in Darktable, .xmp are sidecar files. Darktable will create a sidecar file for each imported RAW file. Previously, Lightroom used .lrtemplate as the file extension for presets but it has switched to .xmp although you can still use Lightroom presets which are available in .lrtemplate. Unlike Lightroom, Darktable doesn’t allow you to export presets into external files. You can’t even save all of the adjustments you made in a single preset. In Lightroom, you can save all of the adjustments you made (like exposure, brightness, white balance, tint and so on) into a single preset for recurring use. In Darktable, preset only applies for the same adjustment group instead of the whole adjustments. 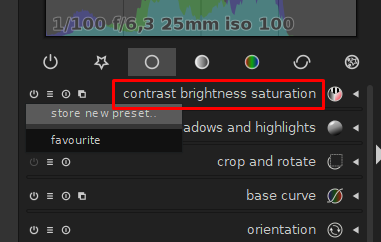 For instance, you can save the adjustments of contrast, brightness and saturation in a preset because they lie in the same adjustment group. It takes a while for new Darktable users to learn how to use preset. 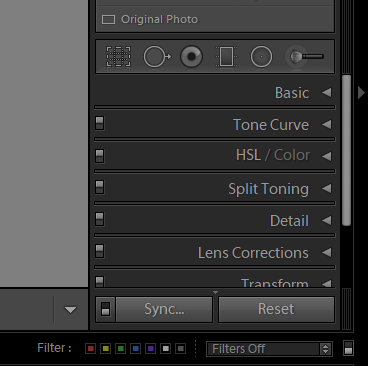 Using preset in Lightroom is way easier because there is a specific menu (Presets menu) on the left hand panel. There are also some predefined presets that you can use. To be able to run either Lightroom or Darktable smoothly, you need at least 4GB of RAM. 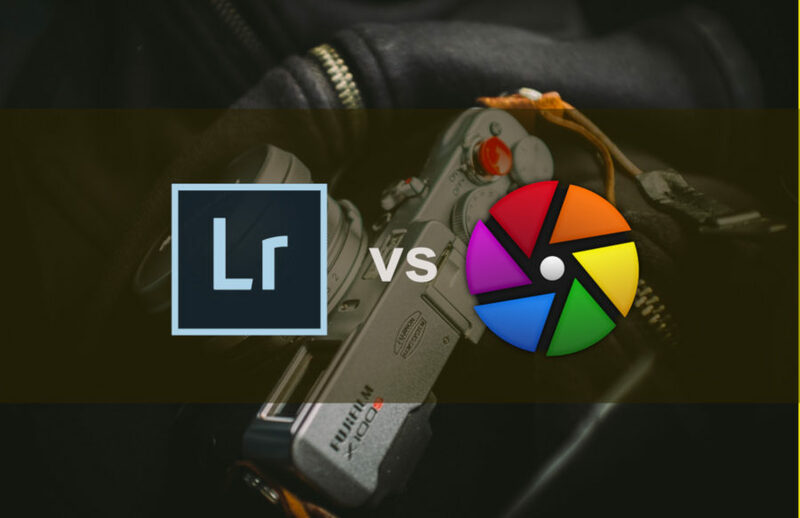 Compared to Photoshop, both Lightroom and Darktable consume less system resources because the tools of Lightroom and Darktable are not as plenty as Photoshop. They are designed specifically to be a photo retouching tool. Lightroom, however, is a bit heavier than Darktable. It consumes more RAM than Darktable. 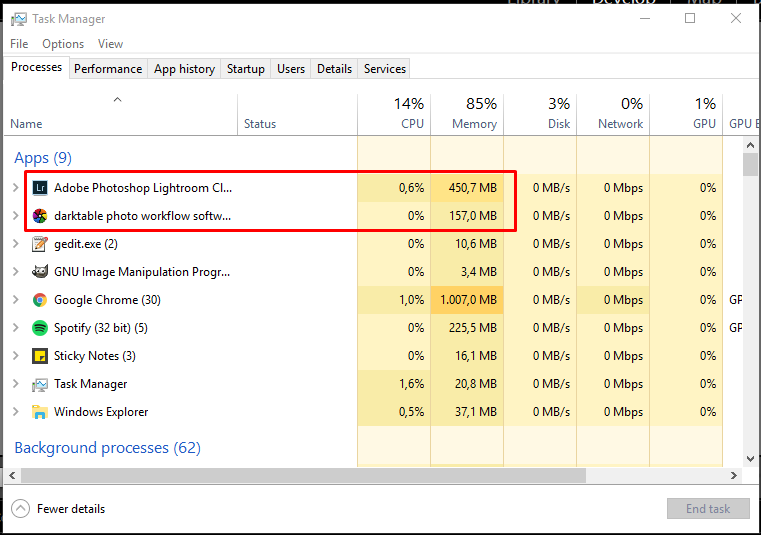 The image below shows the memory consumption of Lightroom and Darktable in handling 10 RAW files on Windows 10. The interface of Lightroom and Darktable are extremely similar although the locations of the menus are definitely different. Lightroom has 7 modules, while Darktable has only 5 modules. Be it on Lightroom or on Darktable you can switch between modules by clicking the tabs on the upper-right of the window. The fundamental difference between Lightroom and Darktable in terms of interface is that Darktable has no menu bar. Two screenshots above are the interface of Lightroom on the Library mode and Darktable on the lighttable mode, which are used to manage the imported files. In Lightroom, you can make the adjustment by switching to the Develop mode while in Darktable you can do so by switching to the darkroom mode. Following are the interface of the Develop mode on Lightroom and darkroom mode on Darktable. Both Lightroom and Darktable are great tools to work with RAW files. They support a wide range of RAW formats from popular camera brands. From NEF from Nikon, CR2 from Canon, ARW from Sony to RAF from Fuji. Lightroom is more popular than Darktable because this tool is widely used by professional photographers around the world. Also, it emerged earlier than Darktable. Lightroom was firstly released in 2007 while Darktable was firstly released in 2009. Lightroom and Darktable are functionally not too different. They both adopt non-destructive mechanism. Meaning that they won’t ruin the original files. The way Lightroom works is a bit tidier than Darktable because it doesn’t create sidecar files on the folder of the imported RAW files. 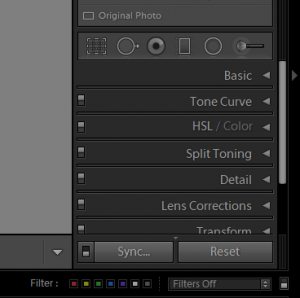 Another advantage of Lightroom is regarding the presets in which you can save the whole adjustments in a single preset. This way, you can easily apply the same adjustments to different photos to get the same tone with a single click. Darktable also support preset, but it doesn’t allow you to save the whole adjustments in a single preset. Instead, a Darktable preset can only contain the adjustments in the same adjustment group. The good thing about Darktable is that it is completely free to use. If you are new to photography and want to learn how to proceed RAW files, Darktable is a great tool you can use. I want to emphasize that functionally, Lightroom and Darktable are not much different. Knowing the photography terms (especially the ones related to photo editing) will be much helpful in using these tools. Bonus: If you are looking for free RAW files for learning purpose, we have collected some websites that provide free RAW files to download. Simply visit the page to find ones.